Imagine sunny Kadriorg Park on an early spring evening in February. This is exactly the atmosphere in Kumu auditorium, starting from the very first notes of the concert by Estonian singer-songwriter Helin-Mari Arder and Andy Fite – an American jazz guitarist, singer and songwriter living in Sweden. Winter jazz really does bring springtime closer! The concert started without a longer talk and the music seized the audience right away. 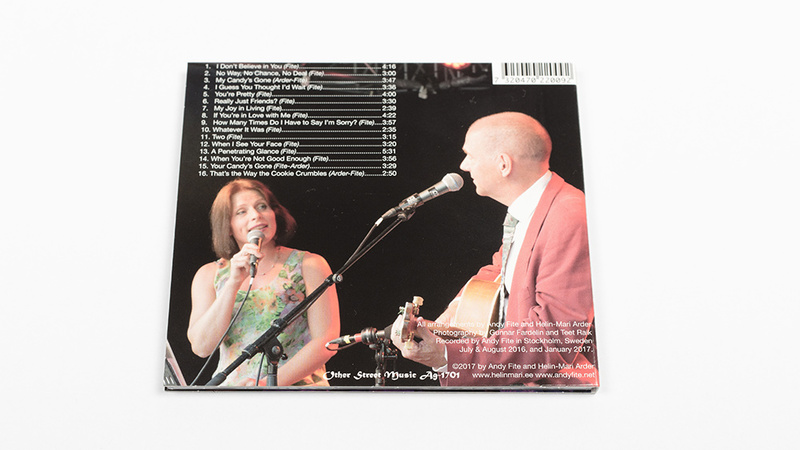 The first song was from the new album “Really Just Friends”, which is mostly comprised of original tunes by Andy Fite..
..With the listeners the duo took faster and slower steps, laughed and cried. 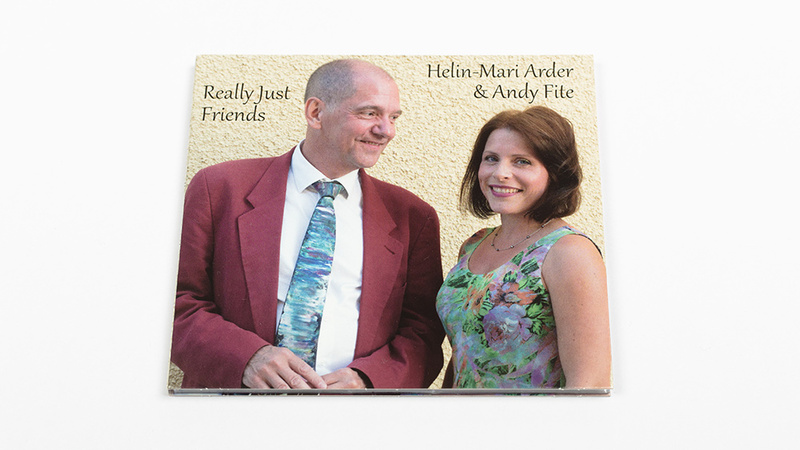 There were serious moments and some raw language, some bebop scatting from Helin-Mari Arder and surprising and humorous vocal improvisational moments from Andy Fite, including, for example, a very nice surprise: a solo on kazoo! We must also mention his excellent technique on guitar.. ..The emotionally varied colors of the songs, with love as leitmotif, and the vitality and humanity they expressed, created a dynamic that somehow bound up the whole concert as if it was one story. The encore songs also carried the same energy. In the first of them, “How Many Times Do I Have to Say I’m Sorry”, Helin-Mari Arder’s masterfully phrased solo was especially memorable..
* Excerpt from Triin Kala’s article, about the CD presentation concert, at Kumu, Tallinn on February 18, 2017. Find the full article below. The CD is a studio recording. 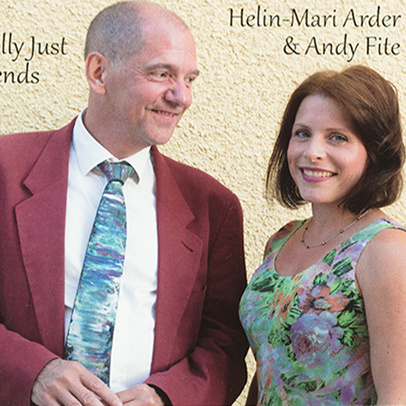 Lyrics by Andy Fite, music and arrangements by Andy Fite and Helin-Mari Arder. Imagine sunny Kadriorg Park on an early spring evening in February. This is exactly the atmosphere in Kumu auditorium, starting from the very first notes of the concert by Estonian singer-songwriter Helin-Mari Arder and Andy Fite – an American jazz guitarist, singer and songwriter living in Sweden. Winter jazz really does bring springtime closer! The concert started without a longer talk and the music seized the audience right away. 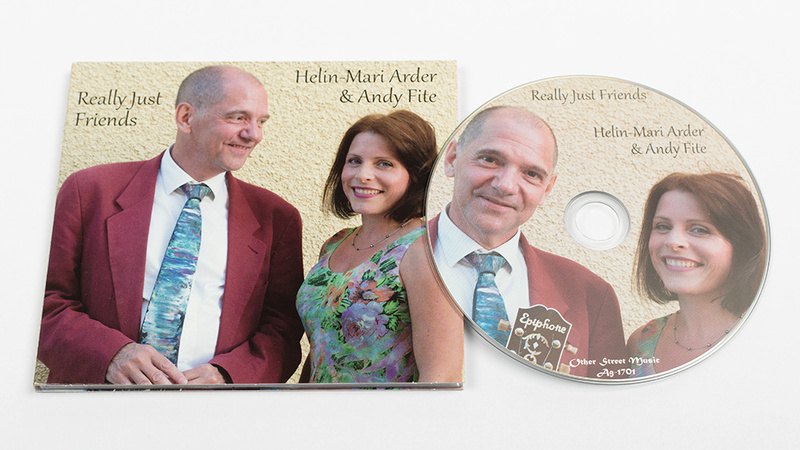 The first song was from the new album “Really Just Friends”, which is mostly comprised of original tunes by Andy Fite. After that there was the nicely swinging “Do You Know What? (I’m Starting to Like You)” from the first CD (I’m Starting to Like You). The whole repertoire was in English and the songs were by turns from the first and the newest CD. The emotionally varied colors of the songs, with love as leitmotif, and the vitality and humanity they expressed, created a dynamic that somehow bound up the whole concert as if it was one story. The encore songs also carried the same energy. In the first of them, “How Many Times Do I Have to Say I’m Sorry”, Helin-Mari Arder’s masterfully phrased solo was especially memorable. The connection between the audience and the artists remained strong until the very last – third— encore. There too the duo kept their excellent sense of humor, improvising a speech-like vocal duet (not real words), a spicy argument in the everyday life of a couple. See the photos of the concert here. Find the original article here (in estonian).